You’ll have to excuse the randomness of this post, right while we’re traveling through South America, but I’m trying something new here on the website. I have just come across a wonderful site called The Daily Post, and in it are weekly photo and writing challenges where a theme is given, and then you post that to your site and share it back to The Daily Post. It sounds like fun, and I think I’d like to give it a try, considering I’ve got over 6,000 photos building up just from this past January. So if you see a random photo with a description popping up on the site that has nothing to do with where we currently are or what we’re doing, fear not, I have not lost my mind. Not that much anyway. The photo above, you may recognize from our trip to Stingray City in Grand Cayman. We were snorkeling in sandy and clear 3 foot waters as we watched, played with, and even fed the wild but somewhat trained stingrays of the area. 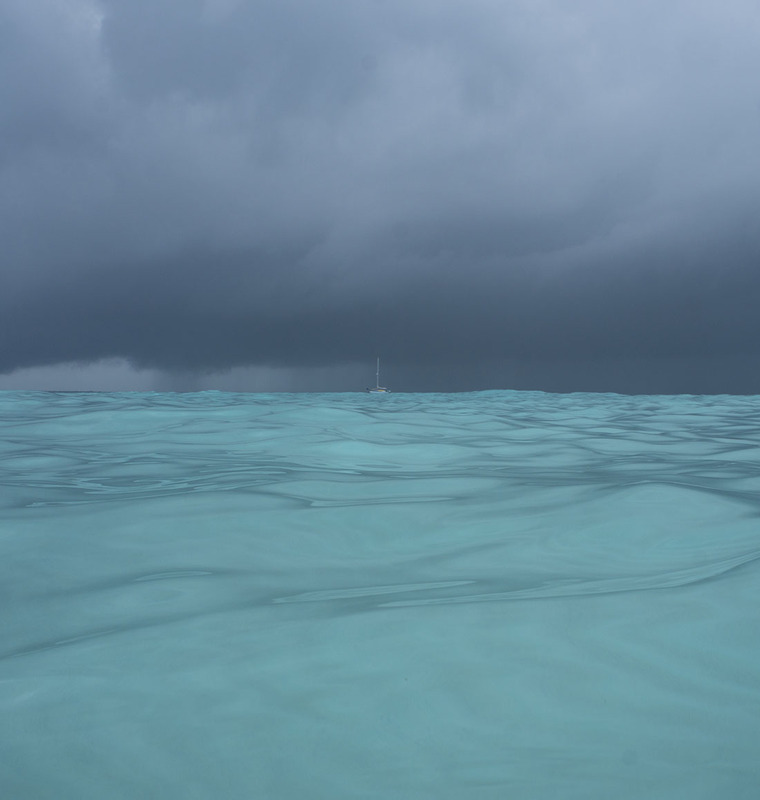 Weather was not cooperating as we had remnants of tropical storm Andrea blowing through, which made for some interesting sailing and dinghy trips, but also some great photos. Here you can see Brian and Stephanie’s boat, Rode Trip, anchored in the distance. It was well worth the 36 hour journey for what should have been a three hour tour.